Doug Appling, a.k.a. 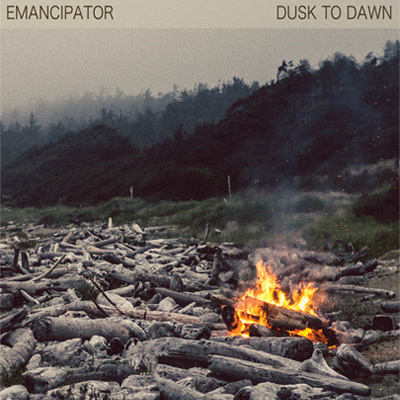 Emancipator, is a downtempo producer who happens to be one of the lucky few to burst into stardom in this particular niche in music. Ever since his debut album Soon It Will Be Cold Enough was released to the rest of the world via trickle effect from fans, his popularity began to explode. His majestic style of downtempo and trip-hop for one reason or another hits the spot for most beatheads these days. Emancipator incorporates piano, brass instruments, culture influences, and traditional trip-hop sounds to coast his way into chillville while he beckons us to ride shotgun. His latest track "Minor Cause" does not sway or disappoint die-hard fans. The tune is composed in the classic Emancipator style. Mystical strings and piano drive the song forward while a traditional trip-hop beat chugs along in the background. He also incorporates a vocal loop which only makes the tune more dynamic as you move between the lacings and layers. "Minor Cause" is the first single off of his upcoming album Dusk To Dawn which is bound to drop January 29. Taste below to see what Emancipator has been cooking. Love this dude and anything he puts out I'm gonna bang fo all them hos to shake they asses to. Seriously, I love this and this song is dope on rope. Classic drum track and all.